Don Watkins is a fellow at the Ayn Rand Institute and is co-author, with Yaron Brook, of the best-selling book Free Market Revolution: How Ayn Rand’s Ideas Can End Big Government. Watkins is now drafting RooseveltCare: How Social Security Is Sabotaging the Land of Self-Reliance. You can learn more about his campaign against welfare statism at www.endthedebtdraft.com. 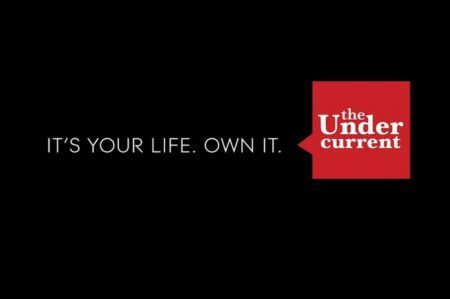 The Undercurrent is sponsoring a debate between Watkins and Howard Schweber (of the University of Wisconsin and The Huffington Post) on the topic “Is the welfare state just?” on April 1st. Visit the site above or www.itsyourlifeownit.org for more information on how to watch the debate live online. You talk about ending the “debt draft.” What do you mean by that? The military draft treated the lives of young people as the property of the state. Well, what I call the debt draft refers to the fact that young people today have been drafted into debt by the government—a debt that runs into the hundreds of thousands of dollars per person. The overwhelming majority of that debt comes from government spending, not on services we all need, like the military, but on old-age welfare programs—namely Social Security and Medicare. Could you briefly describe the scale of the problem? How much are young people now supposed to owe the old, and why do you think it’s going to be so difficult for them to discharge their obligation? The government’s official debt is around $12 trillion and growing quickly, which means that each of us owes about $40,000. That’s bad but it’s nothing compared to the debt the government’s going to be racking up in the years ahead thanks to America’s old-age welfare programs. As the Baby Boomers retire, the bill for Social Security and Medicare will grow fast. Economists can calculate the difference between how much those programs are likely to cost and how much money the government will raise from taxes. They call this “unfunded liabilities” or “the fiscal gap.” That number is astronomical: roughly $200 trillion dollars or more than half a million dollars per person. If the bill comes anywhere close to that, it will spell disaster. The government could seize 100 percent of the income of the top earners and it wouldn’t make a dent in that amount, so taxes are going to skyrocket for everyone. Young people will find themselves working harder and harder and taking home less and less—if they are lucky enough to have jobs. Already studies show that young Americans are putting off buying homes, getting married, starting families, and starting businesses, largely for economic reasons. All of this is going to get much worse unless we put an end to the debt draft. Are economic problems the biggest problems with the debt draft? The debt draft is not the only problem with the welfare state. The welfare state takes money from the people who earned it and gives it to those who didn’t earn it. Instead of a society that rewards productive achievement, the welfare state creates a society in which the more you achieve, the more you owe others—the more successful you are, the more you’ll be punished in order to reward the unsuccessful. That’s the deepest injustice of the welfare state. It is a system of exploitation. Is the comparison to a military draft appropriate? Didn’t that involve forcing people to die for the national interest, not just to give up some money? It’s not a perfect analogy. The military draft left countless young Americans maimed or killed. As bad as the debt draft is, I would never want to trivialize war by equating the two in that sense. But in both cases what you have is the government trampling on the rights of young people, turning them into selfless servants of society rather than leaving them free to pursue their own happiness. The analogy is meant to be provocative. We’re so used to thinking of the welfare state as this noble project. I want people to question that—to see that the welfare state doesn’t help people but robs them of money, freedom, and opportunity. It is a totally immoral institution and it deserves to meet the same fate as the military draft. But doesn’t the welfare state keep many people out of poverty, and wouldn’t dismantling the welfare state, as you seem to be suggesting, result in worsening poverty? On the contrary, the welfare state manufactures poverty. It doesn’t just redistribute prosperity, it reduces it. If we look at history we see that poverty is the norm. Until the nineteenth century, virtually all human beings lived on about a dollar or two a day—if they lived at all. Prosperity is an achievement—and it is capitalism’s achievement. It’s no accident that the nineteenth century saw both the rise of capitalism and, for the first time, a rise in men’s standard of living generation after generation. How did that happen? This is something Yaron Brook and I discuss at length in our book Free Market Revolution: How Ayn Rand’s Ideas Can End Big Government. Here’s the short answer. By protecting the individual’s rights, and in particular his right to property, capitalism gave him the greatest possible freedom and incentive to produce, save, and invest. Well, those are exactly the ingredients that lead to economic progress. Innovation and economic growth come from people making money, saving money, and investing those savings in profit-seeking ventures. The welfare state taxes production and rewards non-production: The more you produce, the higher your taxes; the less you produce, the bigger your welfare check. And since it also transfers wealth from savers to consumers, you get less and less investment capital available to grow the economy. If you wanted to invent a way to impoverish a nation, it would be hard to do better than to create the welfare state. Now obviously the welfare state hasn’t eliminated economic growth in this country. But it has slowed it down. How much? It’s impossible to put an exact number on it, but consider this. If, starting in 1870, economic growth had been just one percent lower each year than it was, our standard of living today would be lower than Mexico’s. Welfare statists do not care about poverty. If they did they would champion capitalism, which has lifted billions out of poverty. The welfare state may increase some people’s income in the short term—although that doesn’t justify wealth redistribution—but in the long run it ensures that more people face poverty and hardship. But what happens to people who can’t make ends meet in the short term under capitalism? There’s a saying in marketing: people don’t want a drill, they want holes. Well, people don’t want a safety net, they want economic security. And the best means of achieving economic security is to live in a free market, which maximizes prosperity and minimizes disruptions such as economic crises and mass unemployment. It also gives people the freedom to protect themselves against economic risks through savings, insurance, help from friends and family and neighbors and co-workers, and any other lawful method they can dream up. In addition, there’s a sense in which capitalism does provide a safety net, but it is private and voluntary. In the nineteenth and early twentieth centuries people formed mutual aid societies to protect themselves from risks like injury, illness, and unemployment. And, of course, there were thousands of private charities. Isn’t a voluntary system morally preferable to a coercive one that mass-produces victims? Could you comment on how premium payments by the young under Obamacare mirror your thesis about the debt draft? Obamacare is simply one more way that young people are being exploited in order to funnel benefits to their parents and grandparents. It forces young people to pay more for health insurance in order to subsidize the cost of insurance for older Americans. But don’t worry, they’re being told, you’ll get to enjoy cheaper insurance when you reach old age, so everyone wins. The truth is, young people lose a ton of money to the welfare state at a time when they can least afford it. But it’s not as if older Americans are getting rich from these schemes either. Social Security only pays, on average, a little over a thousand dollars a month. Medicare benefits can be enormous in dollar terms, especially relative to what people pay in Medicare taxes during their working years, but the overall effect of Medicare has been to make life worse for seniors, not better. To name just one example of this: Medicare reimbursements to doctors cover only about 80 percent of their costs, which means that it’s difficult for many seniors—who have no real choice but to enroll in Medicare—to find a doctor. Why do you think previous generations have voted for programs that will leave their children worse off? I place the blame on the political and intellectual leaders of the country. They have an unbroken track record of lying about the nature of their schemes. For instance, Social Security and later Medicare were not presented as welfare programs, but as “social insurance” programs: everyone would pay into a government “trust fund” which would later pay them “earned benefits.” The truth is that the people who created these programs hated capitalism and wanted to replace it with an American welfare state. They knew there was no “trust fund”—not in any meaningful sense—and that every penny that went in to the pockets of retirees came out of the pockets of current workers. When Social Security was created, the government vowed that the payroll tax to fund the program would never go above six percent. They knew that was almost certainly untrue, and of course today the Social Security payroll tax is more than double that amount. And now we have a cottage industry of what I call debt deniers—people like Senator Elizabeth Warren who cook up arguments to deny that the welfare state is bankrupting us. So you can’t blame the average person for supporting the debt draft. They are not being told the truth. What kind of obligations do you think a child does have towards his or her parents? Why doesn’t this imply an obligation to support the welfare state? My wife recently gave birth to our first child, and one thing I can tell you is that we never asked my daughter if she wanted to be born. We had a choice in the matter, so we have obligations with respect to our child. But she doesn’t have any with respect to us. Now so long as she lives in our house she has to follow our rules, but she has no moral obligation to take care of us once she’s grown. She might choose to do so, out of gratitude and benevolence and if we need it. But no good parent wants to breed servants. My daughter has a right to live her own life. In fact, there are only two sorts of obligations we owe to others: one, to respect their rights, and two, to abide by any commitments we voluntarily assume. Now, the welfare state violates people’s rights and forces them to assume burdensome commitments without their consent. So much for the idea that the welfare state is some grand moral achievement. Why do you say we are not our grandfather’s keeper? Who is if we’re not? I do say we are not our grandfather’s keeper, which of course is a play on the traditional notion that we are our brother’s keeper. That notion more than anything is responsible for the welfare state. It says you don’t have a right to exist for your own sake and that other people’s need is a mortgage on your life. So, when older Americans claim they need you to pay for their retirement and health care, that’s your moral duty, even if it comes at the expense of your goals and dreams. I am challenging that idea that we are our grandfather’s keeper. Obviously I don’t mean we should never help out our grandfather, or cooperate with others when our interests align. But welfare statists’ schemes are not about helping others but about exploiting others. Their view is not that it’s nice to help out others when you can—it’s that you are born in debt, in moral debt, to the needs of others. Take that seriously for a minute. To live by that notion, it would mean that you don’t have a right to a single morsel of food so long as there is anyone anywhere on the globe who needs it more—even if your dinner was not stolen from others but earned by your own effort. That is a monstrous idea, and the only reason we don’t perceive it as monstrous is because we don’t try to live by it day in and day out. Well, I say a moral principle that appears noble only because you cheat on it is not a true moral principle. 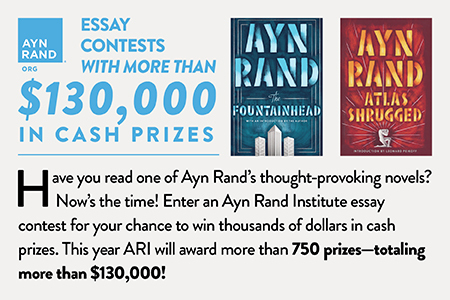 I agree with Ayn Rand: morality is not about carrying other people’s burdens. It’s about human achievement and human happiness. It’s about each of us being our own keeper, taking responsibility for our own life, and trying to make the most of it. Can you give us a few more details about how the welfare state should be phased out? There are a number of options. 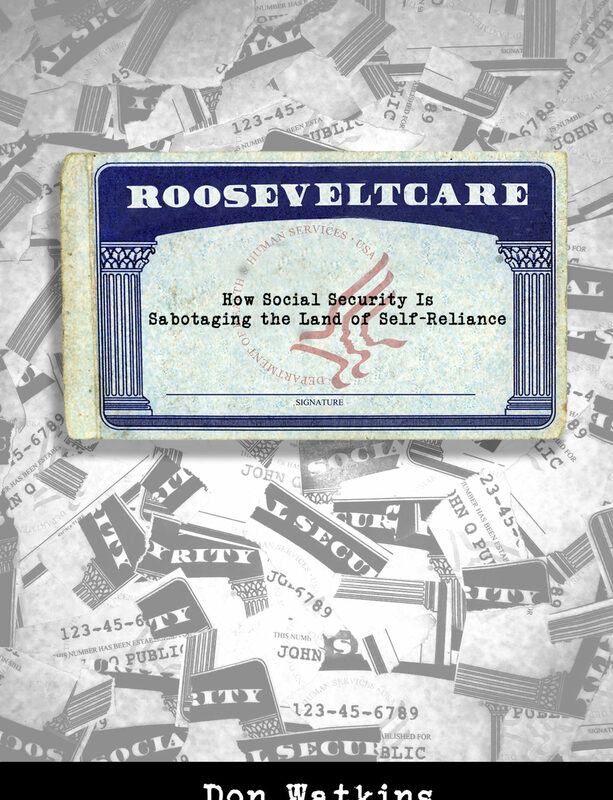 In my forthcoming book RooseveltCare: How Social Security Is Sabotaging the Land of Self-Reliance, I talk about a few of them. I think it’s something economists should be thinking about and debating. Our goal needs to be the complete abolition of the welfare state. In the short term, then, we should be looking for measures that move us in that direction. For instance, I think we need to start cutting benefits immediately. In health care, I would support turning Medicare into a voucher program rather than an open-ended fee-for-service commitment, which at least puts some sort of cap on what is now an open ended black hole slowly sucking us into oblivion. The critical thing, however, is to wage an educational campaign to change people’s thinking on this issue. Nothing will change so long as most Americans think the welfare state is moral. The welfare state cannot exist without the consent of its victims. It counts on the people being exploited to accept that they are being sacrificed for a noble cause. If the victims ever rebelled publicly and said they do not consent to being victimized—that the debt draft is immoral—then the whole thing would collapse. We have to turn the tables on the welfare statists. 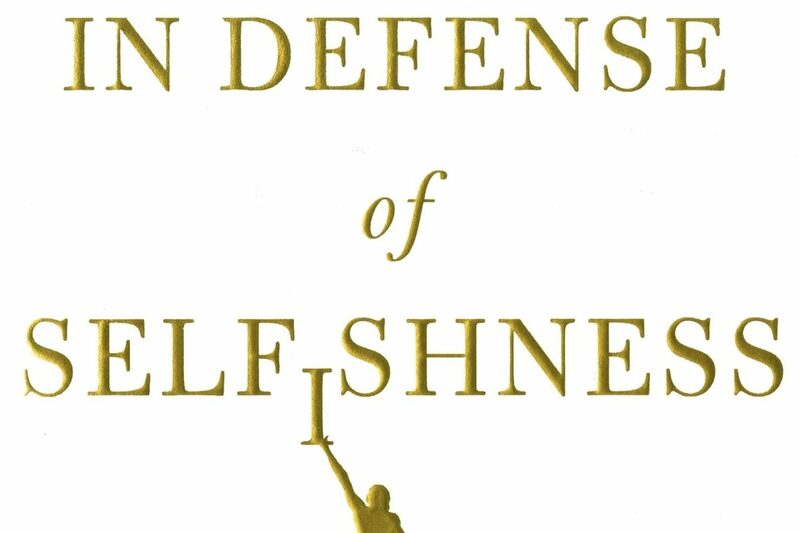 We can’t continue to adopt a defensive posture where we concede that their goals are noble but their programs are poorly designed. We can’t respond to charges that we are mean spirited by saying that we support the welfare state, we just want to make it smaller and more effective. That’s what the right has been doing for close to a hundred years, and it does not work. No, we need to take the moral high ground and put them on the defensive. Nothing will change until the people willing to tell the truth about the welfare state are able to mount a moral opposition—to say, not simply that its financial consequences are devastating, but that it is inherently immoral. And to provide a positive alternative. How do we make that happen? There’s a lot to say about this, and I address it at length in RooseveltCare. For now I’ll name two steps. First, educate yourself about the debt draft and about the individualist alternative to the welfare state, laissez-faire capitalism. It’s not enough to say that what’s happening to you is morally wrong. You have to be able to articulate why. Start by visiting www.endthedebtdraft.com, where I have a bunch of free resources on this subject. Second, speak out. This can take many forms. I don’t recommend getting into time-consuming debates online. Instead, look for high-leverage ways to have impact. Hand people books and articles you think are persuasive. Host talks and debates on your campus. Here’s one small but meaningful thing you can do: “Like” our campaign’s Facebook page, which you can find at facebook.com/debtdraft. If we can get thousands and ultimately tens of thousands of young people to like the page, that sends a powerful message. What do you think about Don Watkin’s thoughts on the welfare state? Stay tuned for an interview by “Is the Welfare State Just?” opponent, Howard Schweber.